Well, hello Avery Elle friends!! There are some very lucky guys out there that are about to receive some amazing cards – you all rocked the Father’s Day/Masculine challenge!! It was tough, but we were able to choose a winner and two runners up! Here you go! How stinkin’ cute is that adorable mouse and his big cheese?!! This just made us smile, and is so well deserving of the winner’s spot this week! Congratulations, Donna! I’ll be contacting you via email regarding your prize! Good stuff, huh?!! As always, we are ever so grateful for all who participated in this last challenge! We hope you’ll come back again tomorrow for the next challenge – it’s a fun one, and one I’m sure you’re all going to love!! 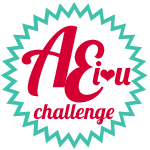 AEI♥U Challenge #9–DIY Designer Paper!